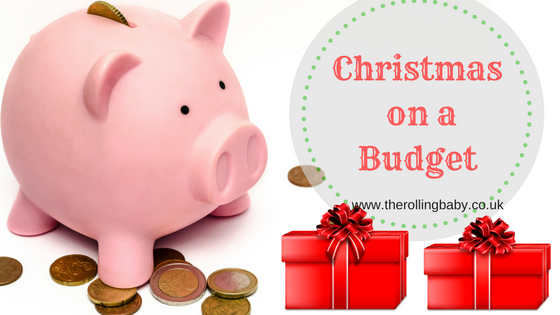 It’s day four of Blogmas and today I’m sharing my tips on how to keep within budget over the Christmas season. As you’re all aware, Christmas can be such an expensive time of year. There’s the gifts to buy, the food and drink to purchase for the big day and the new outfit for the Christmas party you’ve been invited to. Then, less than a week later you’ve got to do it all over again for New Year’s Eve. 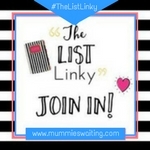 This year, my partner and I have got more people to buy gifts for than ever before and with me being on a reduced income due to being on maternity leave, we’ve been keen to keep a close eye on our expenditure this year. I’ve been making lists to keep an eye on who we’ve bought for and what we’ve bought and I’ve another list for things still to buy. I’ve happily finished my Christmas shopping now, but for those of you that have still got some bits to buy or haven’t started yet, here’s my top tips for keeping within budget this Christmas. If you’re a keen baker, bake homemade cookies, brownies or muffins and decorate with fancy icing, such as my (Non) Gingerbread Men recipe. Baked items make a lovely gift and won’t break the bank! Find recipes where you can bake items in advance and freeze, then all you need to do either on the day before or the day you give your gift is decorate them. Most friends and family won’t mind if you suggest a spending cap on gifts. We do this with a few members of my family and set a limit of £5.That way everyone gets a little gift and no one’s spent a fortune. If you need inspiration, you can check out my gifts for under £5 post here. Christmas hampers are becoming increasingly popular, but in most cases if you tot up the total value of the items in the pre-made hampers, you’ll find you can make your own for a fraction of the price. You don’t even have to use a fancy wicker basket (which can be expensive), you can pick up decent sized plastic boxes which we’ll do the same job in discount chains such as Poundland or you could even use a cardboard box covered in wrapping paper. Rather than buying for all your friends, why not suggest you all do a Secret Santa, that way you’ve all only need to buy a gift for one person rather than for the whole group. It sounds obvious, but so many people go straight to their preferred retailers rather than shopping around to see what prices other retailers are selling the same product for. If it’s your turn to host this year, ask all your guests to bring one food or drink item with them each. This will help you save on costs and food prep. It’s so easy to pop your cards in the post, but stamps are expensive. If you’re friends and family are nearby, could you pop in and give them their card instead? You’ll find they’ll love to see you and have a catch up too. Or if this isn’t possible and they live away, an E-card may be the way to go. We all do it, but the cost of stocking fillers can really add up when you’re buying lots of them. Avoid buying little bits and pieces and opt for a main gift only. After all, there’s only so many socks and chocolate gifts one person needs! Do you have any tips that you’d love to share? If so, please pop them in the comments section below. I have certainly taken to a cheaper Christmas this year and as such will be doing it forever more now! Means more to spend time with my family these days. Some great tips here. We have agreed a spending cap with some of our family members. That sounds great 🙂 Have a fab Christmas. It's great when you agree that, isn't it? Great tips. We have managed to get most of our family (with the exception of my parents and my brother and his wife) to agree not to buy gifts for the adults at all as none of us actually need anything. We’d rather spend the money on the kids. Last year I made a couple batches of fudge (I had no idea just how easy it is to make!) and put a few pieces each into cellophane bags and handed them out to the adults, they were a big hit. I love hampers. We've made 3 of them this year as gifts and each one is unique for the recipient. That's a really good idea. Ooh, I've never made fudge, I think I'm going to have to give that a go.